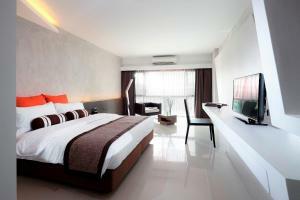 Nine Forty One Hotel is a 3-minute drive from The Nine Neighborhood Centre. 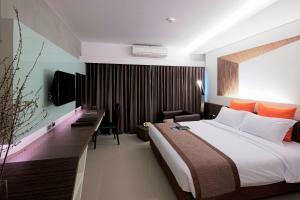 It offers modern air-conditioned rooms with free Wi-Fi and free bottled water. 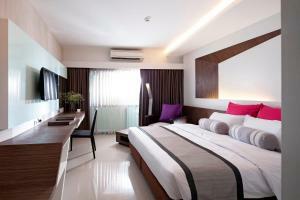 The hotel features a 24-hour front desk and swimming pool. 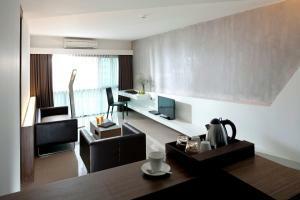 The property is a 15-minute drive from Suvarnabhumi Airport, Suan Luang Rama IX Park	and Paradise Park. 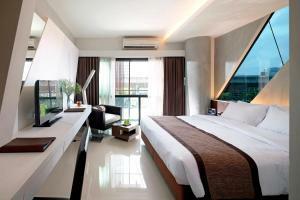 It is a 30-minute drive from Siam Paragon Shopping Centre. Rooms at Nine Forty One Hotel come with a 32-inch flat-screen satellite TV, a minibar and a safety deposit box. Slippers and bathrobes are provided. Bathrooms have a hairdryer and free toiletries. 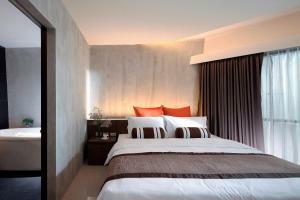 Staff can help guests arrange shuttle or laundry services. 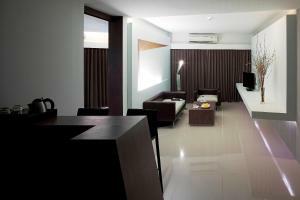 The hotel is equipped with meeting rooms, daily maid service and 24-hour security system. Free public parking is possible in a location nearby. Nine Forty One Restaurant serves a variety of Thai and western dishes. Guests can sip on coffee or cool beverages at Coffee Corner. Cocktails can be ordered at Oasis Bar. 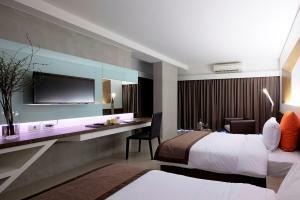 Rooms come with a 32-inch flat-screen satellite TV, a minibar and a safety deposit box. Slippers and bathrobes are provided. Bathrooms have a hairdryer and free toiletries. 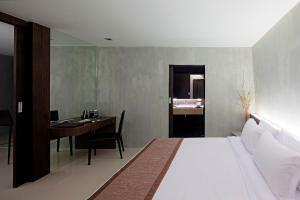 Rate: THB 1800.00 ... THB 2299.00; select dates below to get current rates. 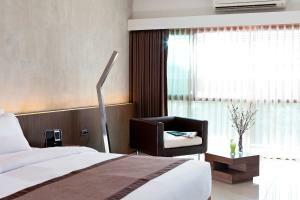 Larger rooms come with a 32-inch flat-screen satellite TV, a minibar and a safety deposit box. Slippers and bathrobes are provided. Bathrooms have a hairdryer and free toiletries. 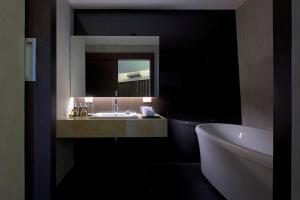 Spacious suites come with a 32-inch flat-screen satellite TV, a minibar and a safety deposit box. Slippers and bathrobes are provided. Bathrooms have a hairdryer and free toiletries. 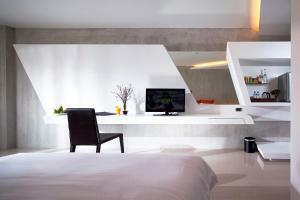 This double room features a bathrobe, sofa and iPod dock.